Captain Marvel was teased at the end of Avengers: Infinity War with Nick Fury sending a message to Carol Danvers right before disintegrating from “the big snap”, giving Marvel fans worldwide a heads up that her tale was next on the big screen. 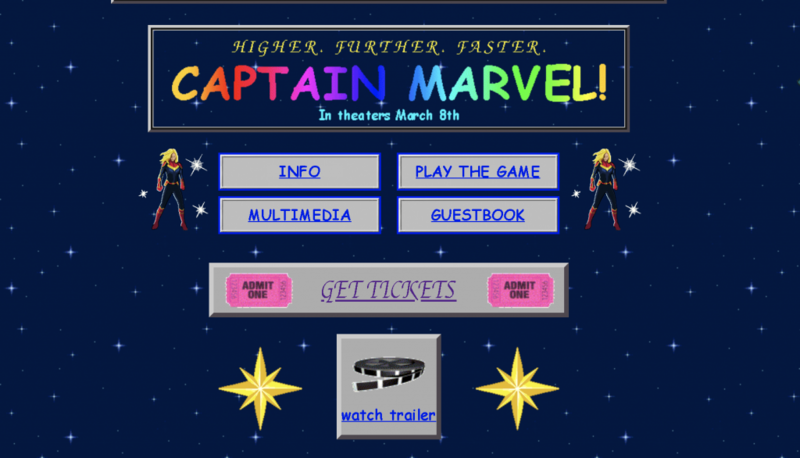 Harkening back to a time where every web page came with a site visit counter and was slathered with Comic Sans, the Captain Marvel website was built on Microsoft Front Page, according to a tweet from Marvel web developer Lori Lombart. The retro web presence almost makes us wish we were back using out AOL account while forcing all of our family to stay off the phone while we explore the world wide web….almost.